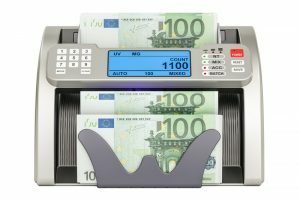 The mixed bill counter money sorter is one of the machines that is popular with the businesses that deals with a lot of foreign currencies. That is because these are special machines that are designed to count different currencies as well as sort them in different denominations. In addition to that, these machines also help the user to detect fake money. UV or ultraviolet technology is one of the most popular with almost every factory that manufacturing and supplying mixed bill counter money sorter. It is also one of the methods that are widely used for detecting fake currency in the financial industry. That is because of the super effective properties that make it easy to identify fake notes. The method works by detecting UV marks by the use of the UV light. These marks are only visible under this technology, and that is what makes it effective. Therefore if the marks are not visible, the money will stop error showing its fake money. The magnetic method has been developed over the years and is one of the effective techniques to detect any kind of notes that are not genuine. MG is also one of the popular money detecting techniques widely used by most of the factory making money counter machines. The method works by a magnetic ink that is in notes. The magnetic is only found in specific areas of genuine bank notes. That is usually done to make it difficult of the fakers to make genuine money. When the MG sensor does not get any Magnetic signal, that means the money is fake, and the machine will Error and stop. CIS is another technology that is quickly advancing and is widely being used by many mixed bill counter money sorter manufacturers. It is probably one of the most effective methods of in detecting fake bills as well as different denominations using images. The method works by detecting the image of the bill under different lights. This is another method that you will find in almost all the machines in the market. The method detects the double-note and half-note as well as chain notes. These are some of the tricks that criminals use.